Pacific Security has more than 30 years experience providing mobile security patrol to Western Washington. Our specially trained officers and modern marked security patrol cars are an effective solution to security problems. Our clients can choose from a variety of service options including number of security checks per night, additional walking patrols per check, security signs, parking violations, and arranging towing for illegally parked cars. Our in house, 24 hour dispatch center keeps in constant communications with our patrol officers and provides an instant link between clients and law enforcement. 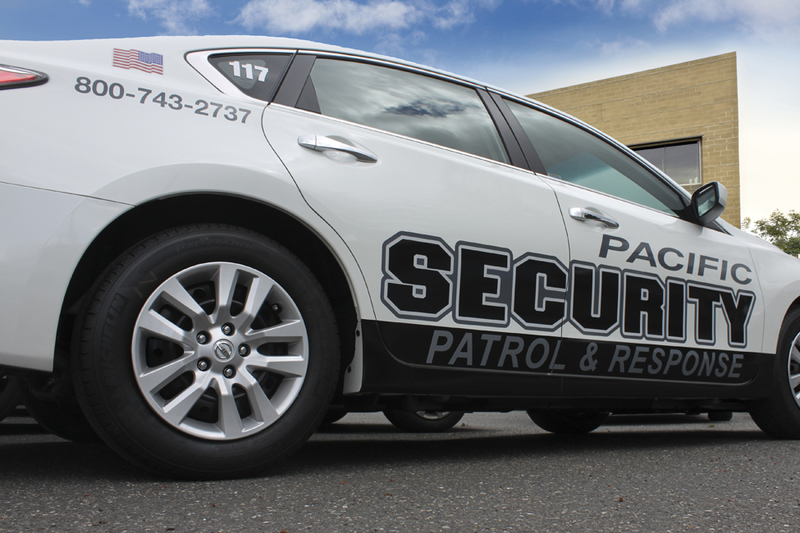 Pacific Security offers you a complete package of verified alarm response services including highly trained officers, timely response times, marked patrol vehicles, our 24/7/365 state of the art dispatch center, detailed reports and experienced management available any time, day or night. We provide alarm response for the majority of the national alarm companies as well as local providers. Pacific Security provides well-trained unarmed and armed officers for banks, ATM services, financial transfers, child protection and domestic disputes and anything else your needs require. Our services are available every day at every hour.